Add 1/2 cup heavy cream. I place it all in a big crockpot and keep on warm so the family can enjoy it as they come and go. For a special treat make some cheddar biscuits to go with the chowder! Beans are not a fruit as the catchy rhyme would suggest, but as far as the rest of the jingle, well, you will have to find out for yourself. Surprisingly this salad was very good. You could also eat with corn chips if you wanted to like a dip. If you have made something similar, share your recipe varieties with us in the comments. I am not talking Herb Superb as in Herbage- the illegal and legal in some states herb. We say Nope To Dope in our house. The superb herb I am talking about is my latest favorite thing as a Faith-Filled Foodie. Thanks to my friend Debbie, I am loving these little dried herb grinders by McCormick. I bought the basil one and also the Italian blend of basil, oregano, and rosemary. They are my new favorite thing! We baked some Halibut fillets with grated lemon, the herbs, and a tad of butter. Paired it nicely with a cucumber salad tossed with grated lemon, olive oil and some more of these superb herbs! You will see for yourself- Herb Superb! 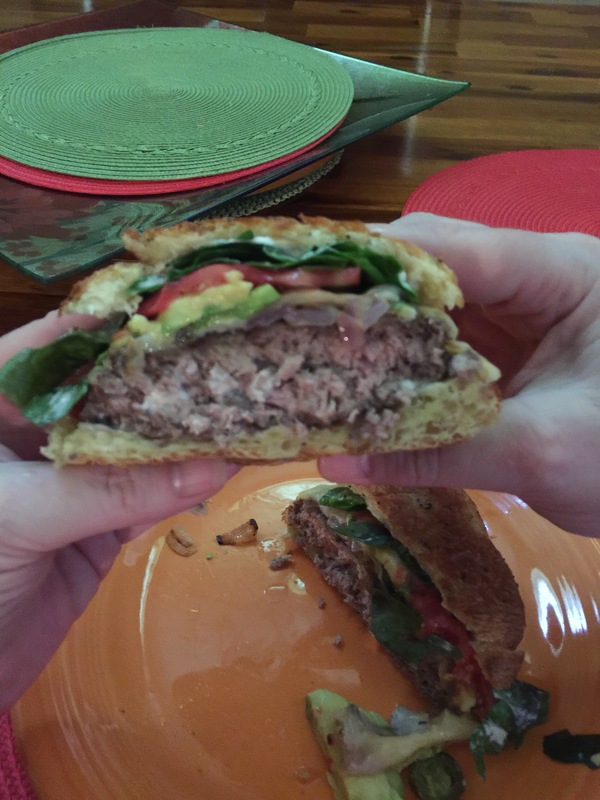 My husband recently had a Patty Melt his sister Brenda made over the weekend. He went on and on about this patty melt. So to kick off Summer and prove that I can make a mean patty melt too-I set out to make the perfect patty melt. The abundance of purple onions in the garden made for the best sautéed onions. 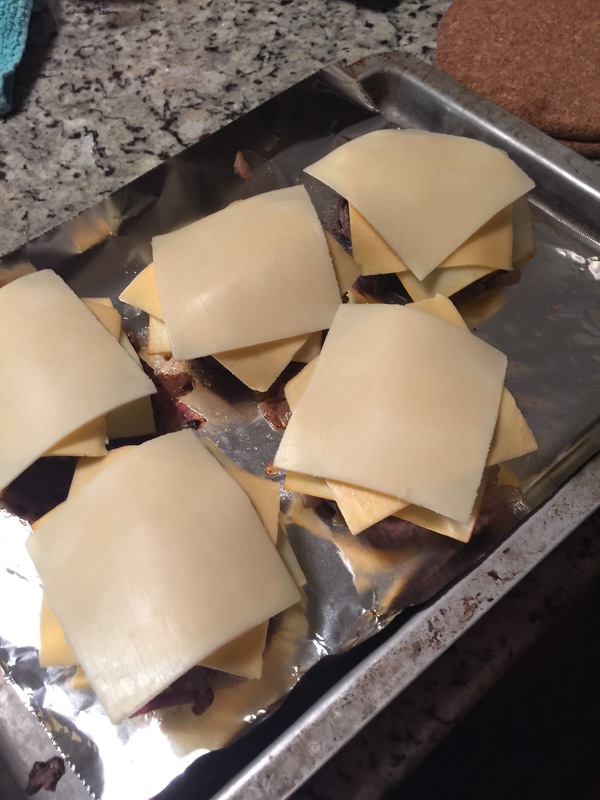 We did not just leave our melts to just Patty and onions. We added garden fresh juicy tomatoes with red tip lettuce, sliced avocado and hot jalapeños. 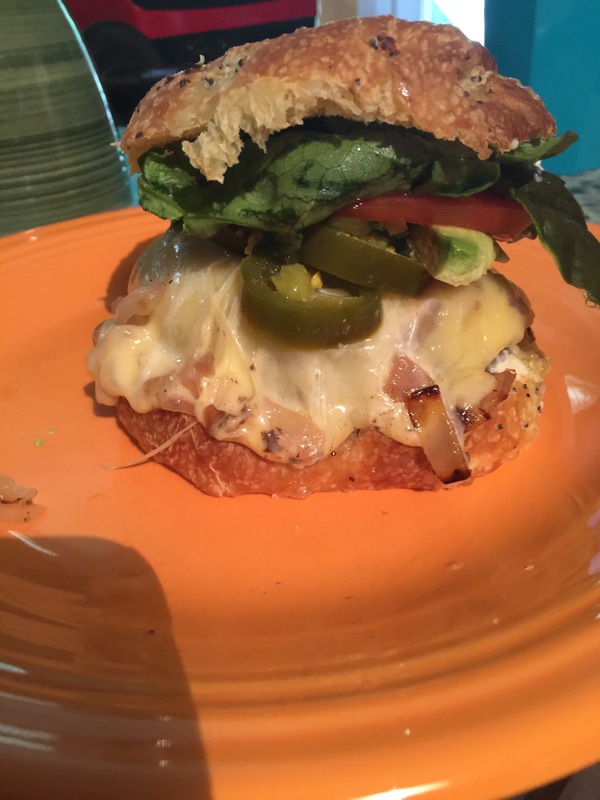 All this masterpiece was set upon a flaky toasted onion roll. Yes- you guessed it …. I remember as a child in the 70’s we loved some Hamburger Helper. It was so good! Just Not so good for you…. Every once in awhile I will want to get the potato stroganoff one and I then I read the ingredients list and shudder and my conscience makes me leave it on the shelf. I have made my kids a homemade version of it before but it just takes way too many ingredients and time. Lately my kiddos have been wanting the cheesy greasy goodness of Hamburger Helper. Well, actually my adapted version since we stopped eating HH almost 10 years ago. So my version normally is all from scratch but sometimes I do opt for the box Mac N Cheese. When I go the “simple and quick” route with the box, I just don’t read the ingredients. I had some leftover ground sirloin that I sautéed with onions and threw in some more sautéed purple onions from the garden and a big chunk of Elephant Garlic with olive oil. Thankfully my kiddos like garlic and onions because we have lots of onions from my Mother In Laws garden right now and I always put enough to convince myself that it’s actually another serving of vegetables. 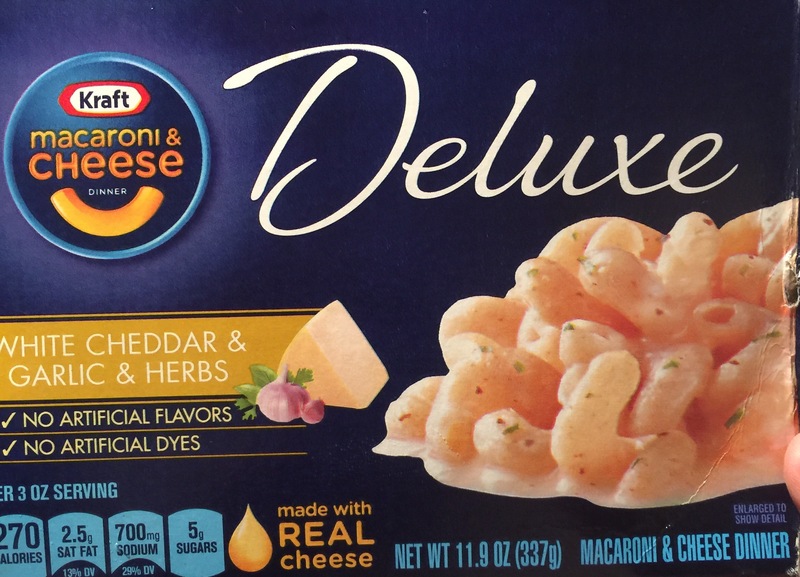 Today I wanted to save time and ingredients so I bought the store made Mac N Cheese box. I just didn’t read the ingredients list so my conscience stayed clear-but opted for this version since it promotes no artificial flavors or dyes etc. 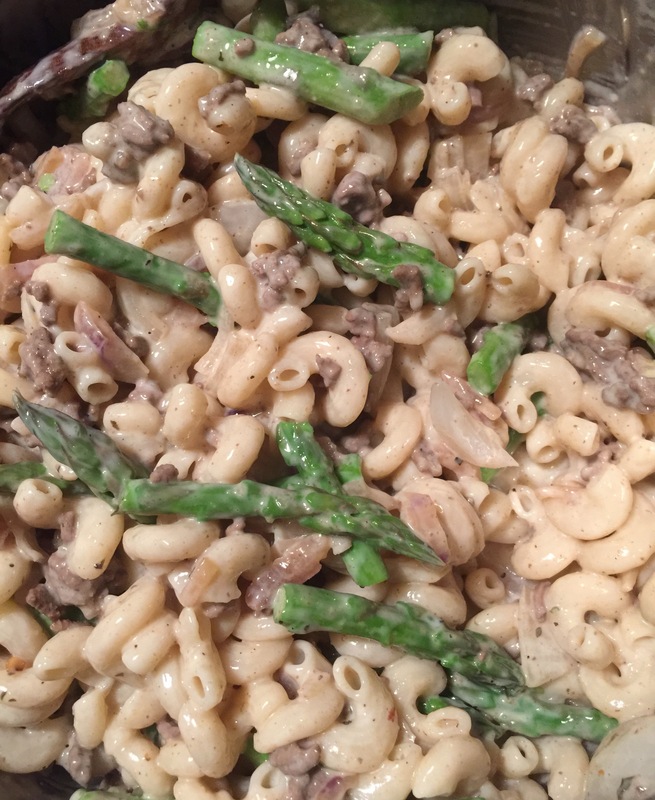 I boiled the noodles and threw all the ground sirloin, onions, garlic, herbs in with the cheese sauce and added a little steamed asparagus so they got another vegetable of course! So there you go- Dinner is done! Our Hamburger Helper Grows Up…. Just like my kiddos are in the blink of an eye. Makes for a happy and almost healthy dinner. What are you Cookin today? We implement some Meatless Monday’s in our home. Really any day of the week works and sometimes we even do a couple days a week. We weren’t always like that. We ate our fair share of red meat until in 2008 we started eating better after a stroke forced us to. But Any Hoo- we have found our favorite meatless dinner. At first I used brown rice and have slowly replaced the rice with cauliflower rice. You take a bag of cauliflower rice and steam. Steam the cauliflower and pour into a 13×9 pan. Season with cumin, chili powder, salsa, onions, cilantro, and lime juice. Then add two cans of organic black beans rinsed. 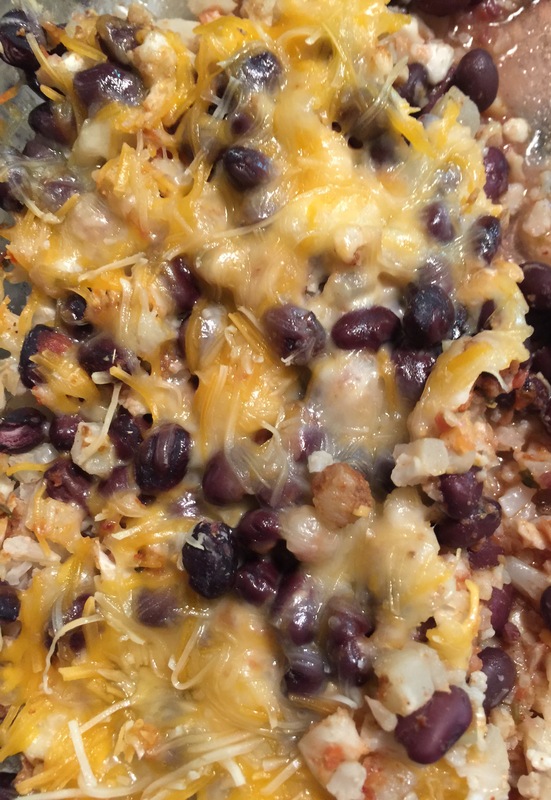 Stir together and add a little cheese and bake till cheese melts and beans are warmed. We like to top with shredded lettuce, avocado, ( or our Holy Guacamole ) and I let the kids eat with corn chips if they want. It is packed full of fiber and tastes — well you guessed it… #YummO. I read this trick recently and it works! When you crack your eggs in the non stick skillet place a plate over the skillet. Just for a minute or two and you will see the whites of the egg quickly are firm. Makes for easier flipping and you salt and pepper and replace the plate again for a minute or so and you have perfect over easy eggs. You can leave plate on longer for less runny yokes. Share your cooking tips or tricks with us. Confession! 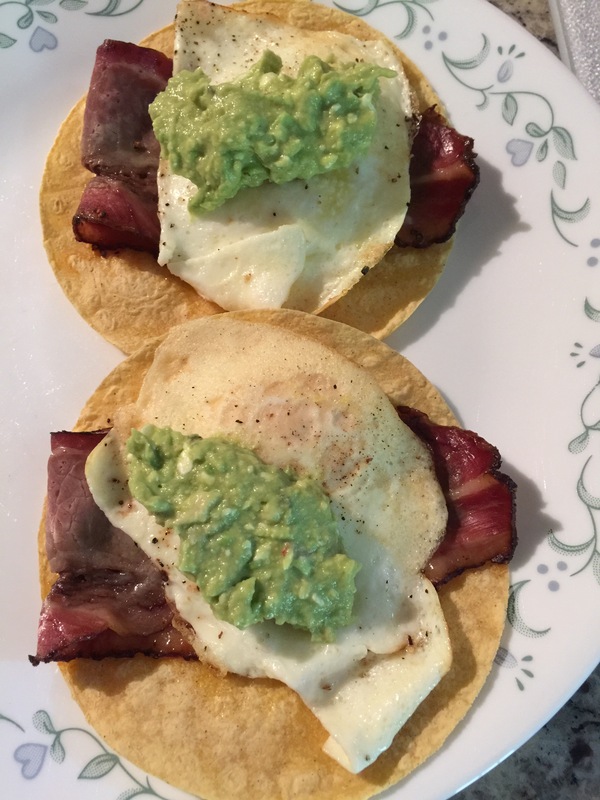 Since finding this little gem at our HEB deli we have had these tacos …. Uh well, let’s just say …. Too many times! I was at our local HEB and I buy their in house roasted deli meats. You pay more but they taste better and have no nitrates added. 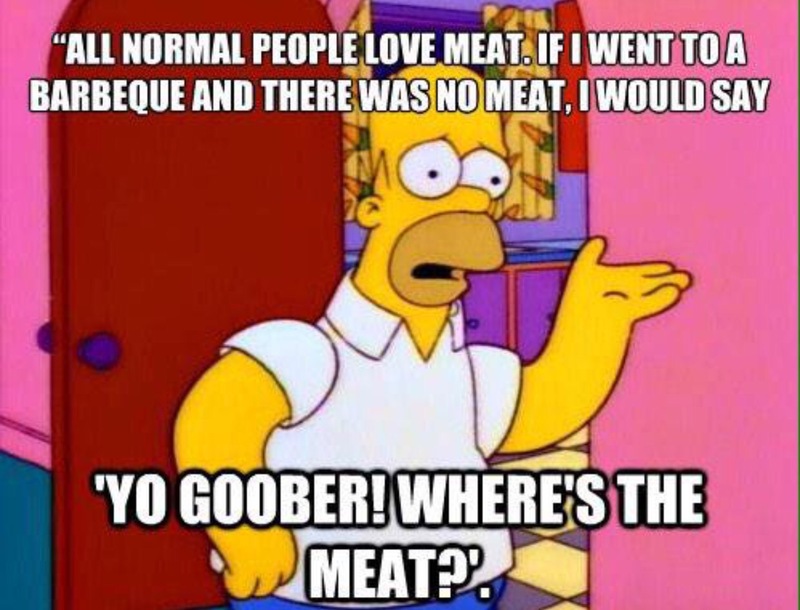 I noticed they now had brisket. So at just $12.97 a pound I thought “hey easy meal” “why not”? I always buy the mission brand extra thin corn tortillas. The reason is for 3 tacos you are under 200 or so calories and your carb count is around 24. So I thought, hey we have some Hot Hot Hot Salsa and some Holy Guacamole – why not have easy tacos? I don’t fry my corn tortillas in oil to keep it healthy and instead place on a baking pan. Our big pan holds 6 easily. I laid down one slice of the thin brisket, and a small sprinkle of Extra Sharp White Vermont Cheddar. Placed in oven at 350 for 5 minutes. Topped with shredded lettuce, and our salsa and guacamole. 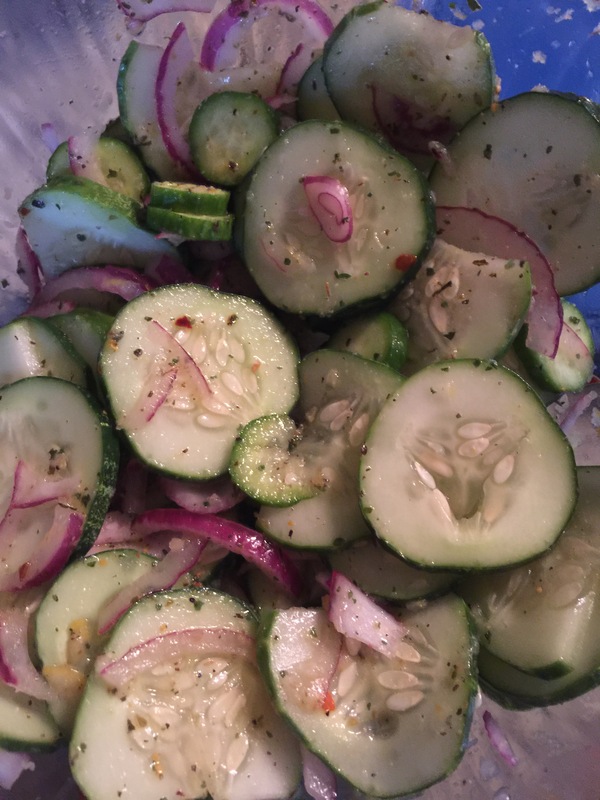 You can add sour cream or olives or onions or tomatoes or whatever taco toppings you like. There you have a quick easy dinner idea and of course something new for taco Tuesday or any day of the week. 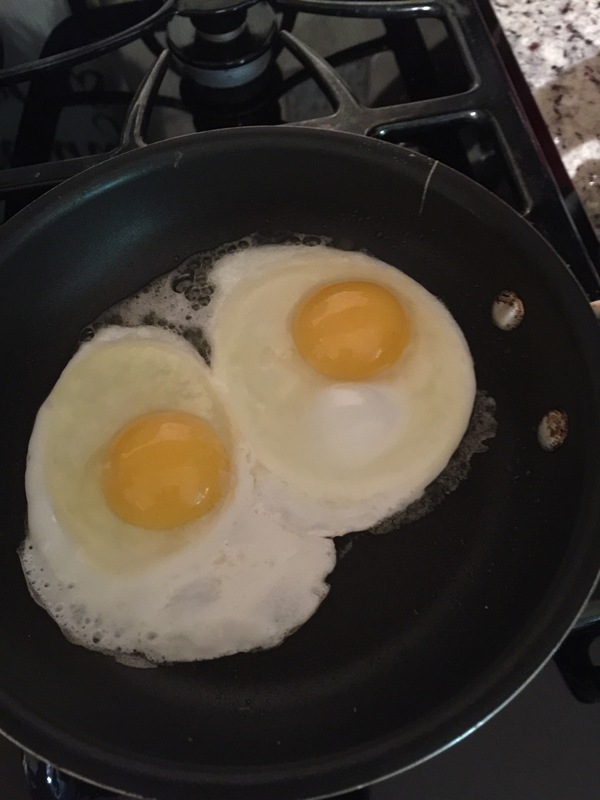 We loved those so much we decided to make a breakfast version- we topped them with a nice over easy fried egg. #YummO. – Holy Guacamole is optional but we liked them with the avocado. 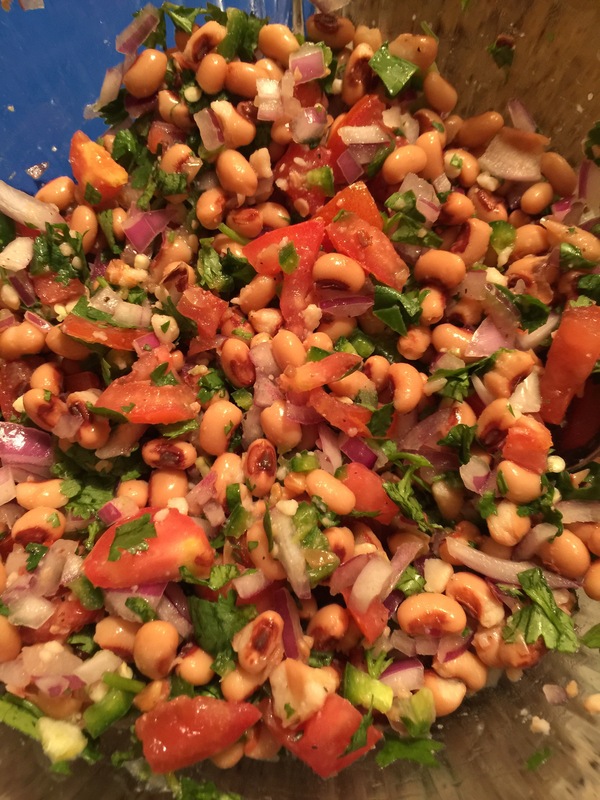 You can also make with rotisserie chicken or whatever meat or even beans you have handy. No -I am not talking about the Texas Summer heat quickly approaching or something on HBO after dark. 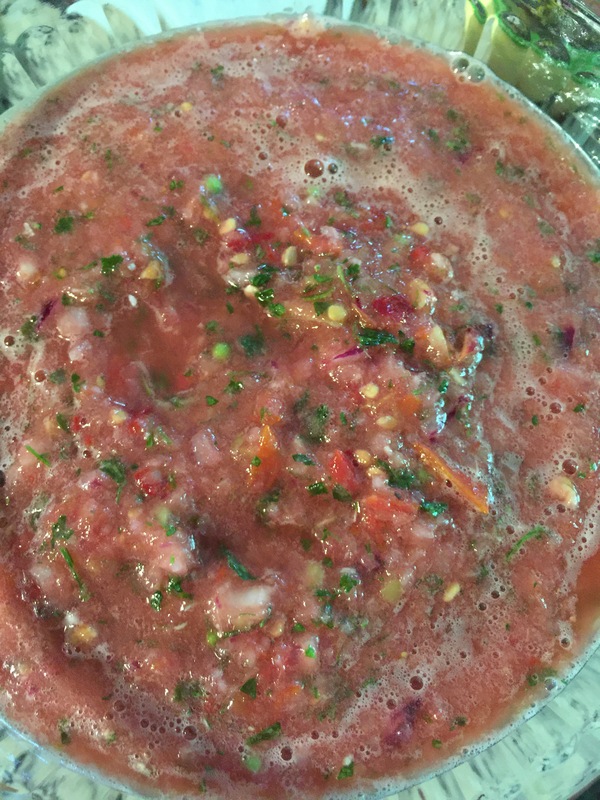 I am talking Salsa Season! My family loves good salsa. And there is a difference in fresh and jar salsa. The jar salsa just won’t cut it. Sorry Pace- you are not my idea of salsa. Now I can handle Arriba Salsa in the jar if desperate… But only in a pinch. My hubby is a gardener. I am not. I do however like to cook up all the yumminess that his garden produces but when everything is producing rapidly the counters can get full quickly and it drives my old OCD tendencies a little crazy. So into the Vitamix went a large purple onion, 8 medium tomatoes, a big handful of parsley and cilantro, 2 yellow banana peppers and 2 sweet red peppers, a squeeze of lime juice, pink salt, a big spoon of chopped garlic and a pinch of cayenne with one long skinny Serrano pepper and ….. Ta da! Salsa is done! Grab your favorite chips and here you go! Doesn’t get much better in the ole South – where we like keeping things Hot Hot Hot! Want to know how to get the perfect avocados? Buy then hard and green when cheap and place in a brown paper bag. 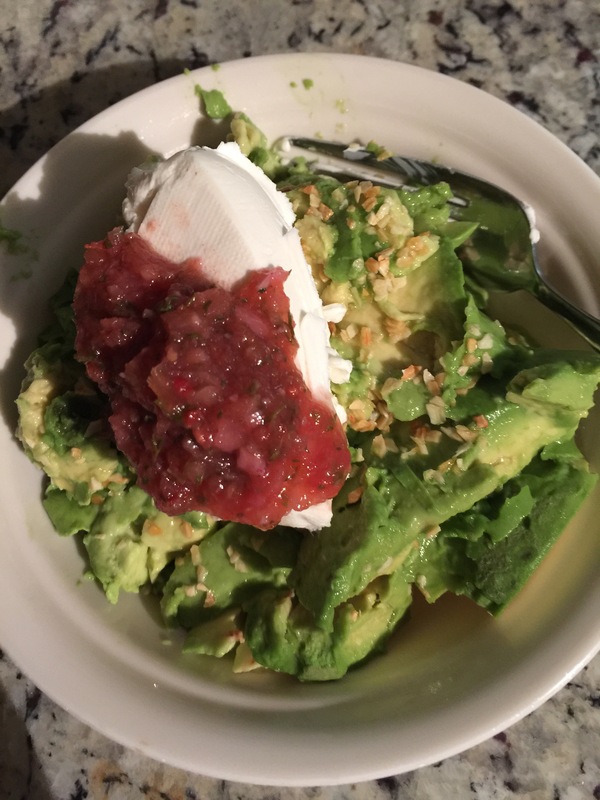 Holy Guacamole – it works! In 1-2 days they are perfectly ripe! I learned this little trick years ago. We like to smash ours with garlic, lime juice, cream cheese and a spoon of our homemade salsa. And there you have the secret to the best avocados and guacamole. All your friends and family will be saying “Holy Guacamole” when you share this little trick!